Protein is an essential nutrient for maintaining lean muscle mass and repairing bodily tissues. Complete or high-quality proteins in your diet provide each of the amino acids, or building blocks of proteins, that your body needs to make new proteins. Animal sources of proteins are high quality and including them in your diet can help ensure that you get an adequate intake of amino acids and other essential nutrients. 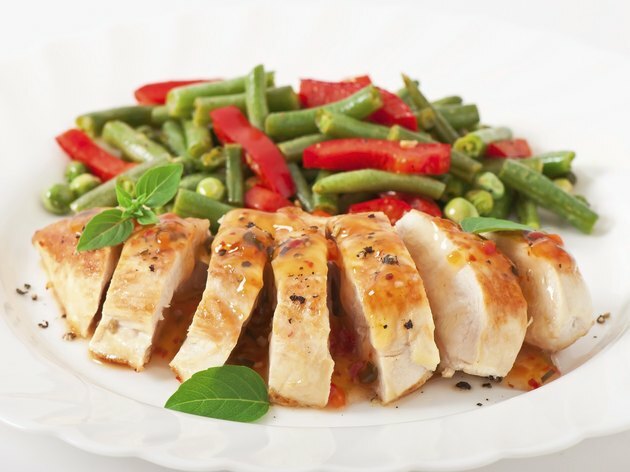 Skinless, white-meat chicken is rich in animal protein, providing 27 grams of protein per 3-ounce serving. Skinless turkey breast is also a lean source of animal protein. 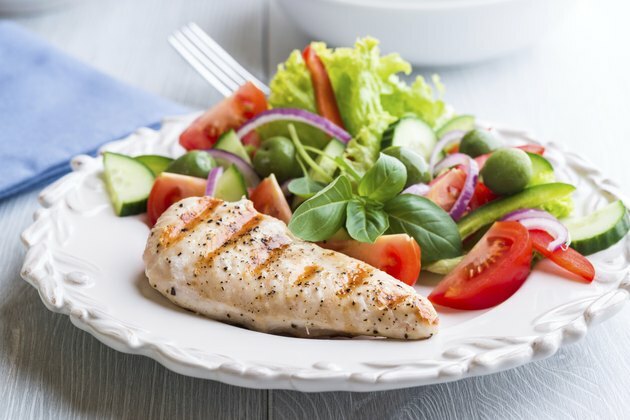 Choose unprocessed chicken and turkey breast instead of deli slices to limit your intake of sodium and preservatives, such as nitrates. Try making chicken stew with vegetables, or add diced, cooked chicken or turkey breast to spaghetti sauce to increase its protein content. 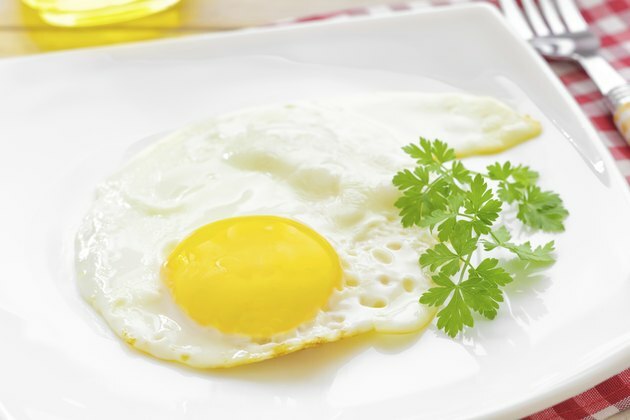 The proteins in eggs are of very high quality because the ratios of their essential amino acids are almost ideal for your body's needs. One whole large egg contains 6.3 grams of animal protein, with 3.6 grams of protein in the white and 2.7 grams of protein in the yolk. The white is fat-free and cholesterol-free. The yolk contains saturated fat and cholesterol, but provides iron and vitamin D. Make a Greek-style omelet for a high-protein breakfast using eggs, spinach, thyme, oregano and low-fat feta cheese. 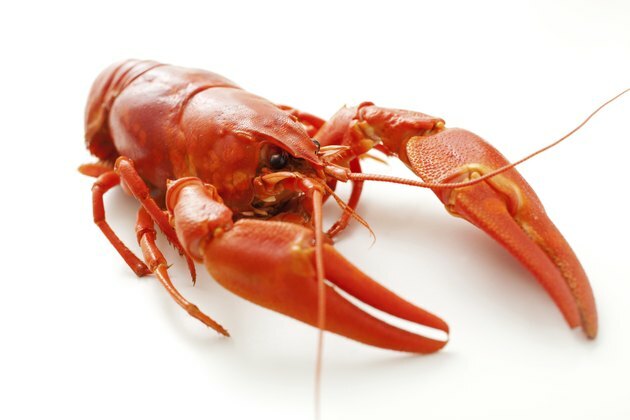 Fish and shellfish provide high-quality animal protein. A 3-ounce serving of canned tuna has 22 grams of protein, and a 3-ounce serving of cooked salmon supplies 19 grams. Fish and shellfish provide heart-healthy omega-3 fatty acids, and they are low in cholesterol-raising saturated fat. Make a high-protein soup with fish and tomatoes, or add fish and shellfish to brown rice cooked with olive oil, saffron and bell peppers to make a seafood paella. A cup of skim milk provides 8 grams of protein, an ounce of cheddar cheese has 7 grams of protein, a half-cup of non-fat cottage cheese has 12 grams of protein and a 6-ounce container of Greek yogurt has 11 to 15 grams of protein. Dairy products also provide calcium, which is an essential mineral for building and maintaining strong bones. 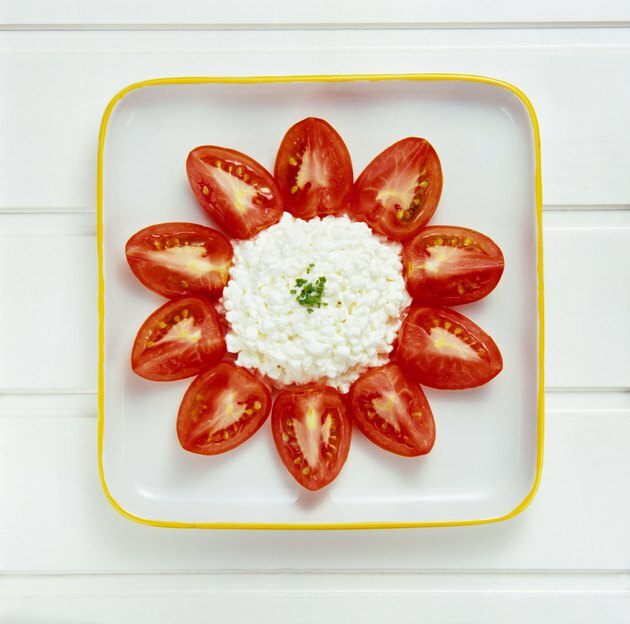 Have a glass of milk with breakfast, add low-fat cheese to your salad or have cottage cheese with sunflower seeds and strawberries for a high-protein snack.